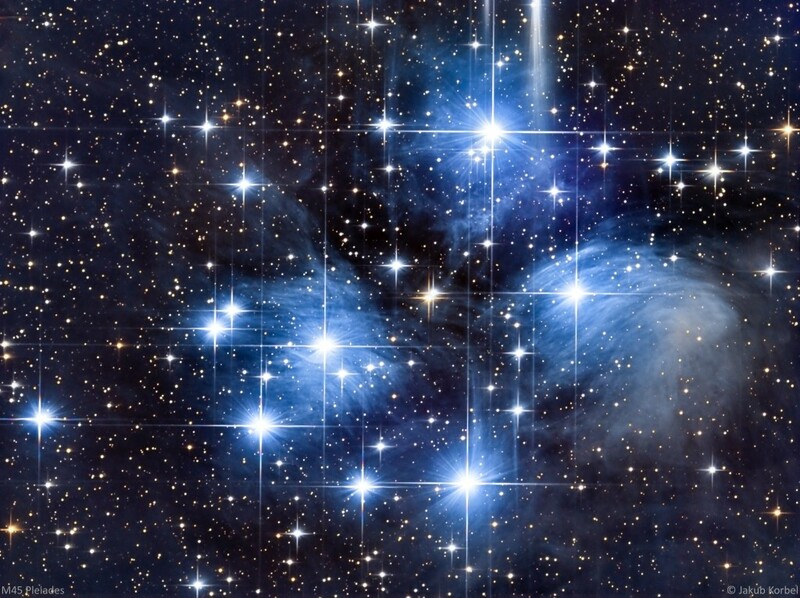 Probably the most famous open cluster, visible by naked eyes is called Pleiades, Subaru or Seven Sisters. Charles Messier cataloged this DSO under number 45 (M45). This cluster is located in constellation Taurus. 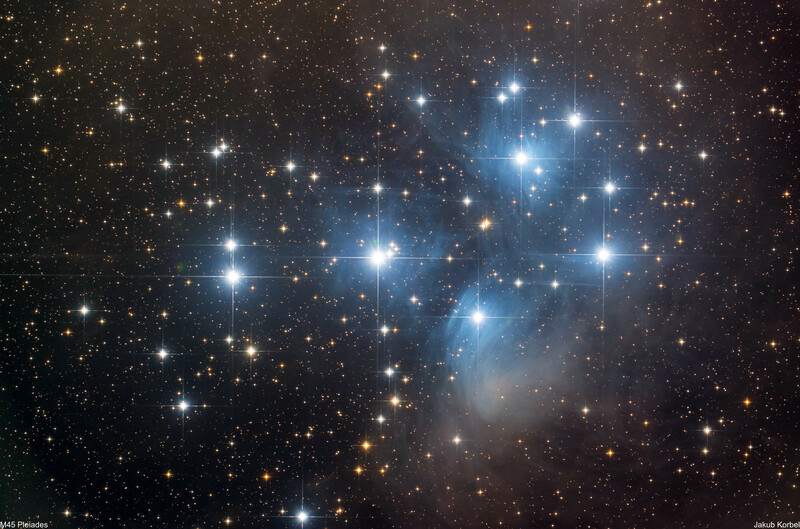 It’s the closest cluster to the Solar system (430 light years), has 8 light year in diameter and it’s characterized by the nebulosity – reflective illumination of the space dust by the blue light of the hot, young stars. The brightest stars have names: Alcyone, Atlas, Electra, Maia, Merope, Taygeta, Pleione, Celaeno and Sterope.